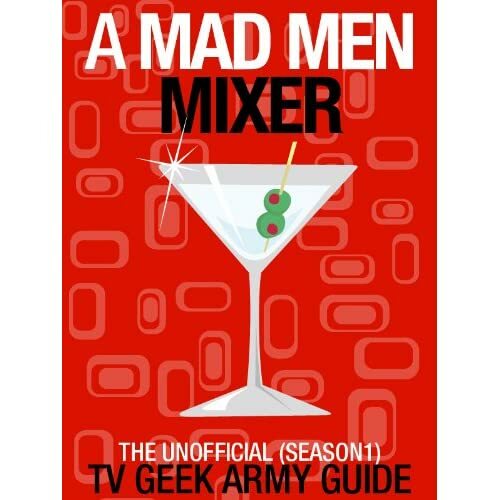 Posted on Sunday, April 5, 2015, by Eric - TV Geek Army "Revered Leader"
Not much more can be added to the torrent of stories written about Mad Men's final installment of seven episodes (the first of these airs tonight at 10/9c on AMC). For that reason, I'll simply add my own personal wish list of things that I'd like to see as the so called "End of an Era" kicks off. We've seen Peggy's storyline emerge over the past several seasons as one in which she's achieving great professional success while her personal life is often in shambles (not an unfamiliar dynamic for many characters on this show). Of all the will they-won't they relationships on the show, perhaps Peggy and Teddy is the one that Matthew Weiner and company will allow us to savor (even to the destruction that will post to Ted's "current" wife and family). While there have been somewhat redemptive moments throughout the series' run, Pete is in many ways still the odious schemer who tried to put the moves on a young woman during the pilot episode (before showing up at Peggy's apartment). While we've seen Pete chafe at Trudy and their child moving on out in Cos Cob, he has seemed to find the LA lifestyle (and its distractions) to his liking. While Wiener isn't one to give characters "the ending that they deserve," I wouldn't mind an illusion to Don's warning and prediction for Pete way back in 1960 (that he'll one day be an unliked middle aged guy that women sleep with out of pity) may be on the verge of coming true. Arguably one of the nicest and least corrupted characters on the series, this guy has been put through the wringer over the last few seasons. Getting shot in the eye by idiots from Chevy aside, Ken's stress level seems to be off the charts in the brief moments we've seen him of late. Of course, stressed out is a long way from Michael Ginsburg territory, but it would be great if Kenny was able to get back to the sunny, fiction-loving disposition of his early '60s self. And for my money, nothing would be sweeter than to get a ready-for-the-'70s version of Sal that is loud, proud, and highly successful running the small creative shop that he dreamed of back in the Sterling Cooper days or as a commercial or TV director on the rise. While she's gone off the rails from time to time (see: running off poor pregnant Stephanie in "The Runaways), it would be nice to see Megan move on with her life in Hollywood. Perhaps like Danny Siegel before her, Megan will find happiness on the left coast. Of all the characters on the show, we've seen little Sally Draper grow up the most (as indeed Kiernan Shipka has evolved from adorable little girl to poised young woman circa 2007-2015). It's been fascinating to see her navigate the dynamics of both of her distracted, troubled parents. I'd love to see further signs that she's going to be just fine and ready to emerge on the 1970s New York scene with her act together. Note: this may be my most unrealistic wish! This is the hardest one of all to pull off of course. Knowing what we know of Matthew Weiner, I expect an ending that will both be unexpected yet well within the mood and aesthetic of the series. I wouldn't be surprised if Season Three's brilliant close ("Shut the Door. Have a Seat") will be a model here: ongoing change with a somewhat bewildered and ever so slightly wizened Don doing his best to deal with it. And if it's a closing scene with Don and Sally or Don and Peggy having a nice moment of an appropriately elliptical and philosophical bent, that might be the perfect touch. We get to learn that Pete did know Peggy prior her arrival at Sterling Cooper (so he therefore knew how to get to her apartment in Brooklyn post-drunken bachelor party!). Basically, you want a cheesy happy ending for everyone. No ending for Betty, I see. Still can't deal with the fact that she'll never be the ideal woman or mother that you probably had demanded that she be. Betty's a fascinating character; just didn't have a particularly good wish for her. You'll note that my wish for Pete isn't particularly "rosy." Or, alternatively, everyone could just die in a fire, so there's that.